Easter at Towerwater is a celebration of what the garden gives in abundance. We are blessed with friends who also give of their love and friendship so abundantly. Towerwater is a celebration of a different pace of life. Where time to relax with friends over a home-cooked meal with ingredients from the garden, enjoys preference. At Christmas, Carol showed us what we were missing by baking homemade fruit mince pies. We have been spoilt for life. It will be difficult to consider buying a store-baked mince pie again. With stores introducing chocolate, cranberry and even fruitless hot cross buns, I started to question their true commitment to the traditions of Easter. It became clear that their approach to hot cross buns is a profitable exercise of catering for as many taste profiles as possible. 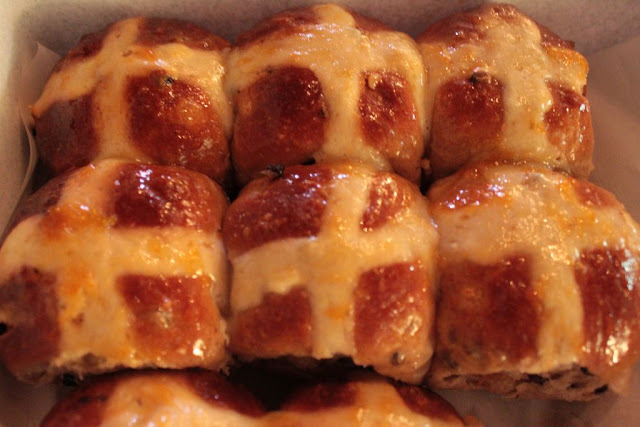 In the process the true essence of traditional hot cross buns is sacrificed. 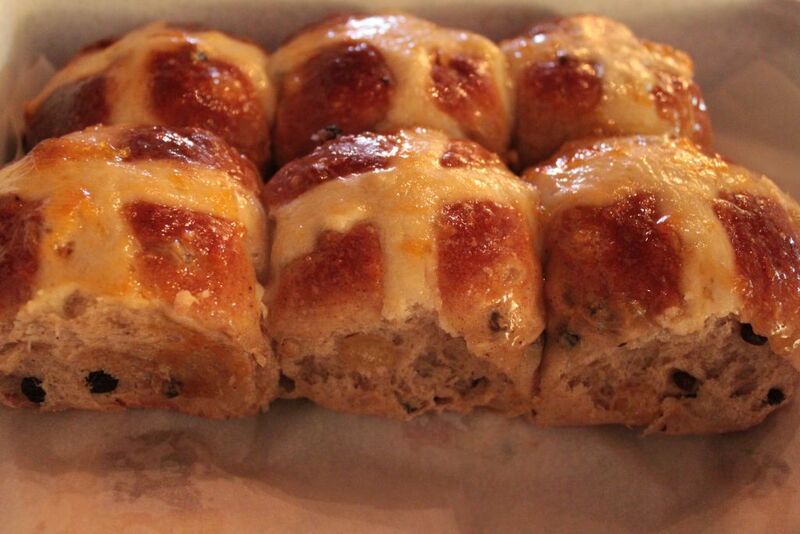 Hot cross buns are traditionally eaten on Good Friday and in the Cape it would be eaten with pickled fish. 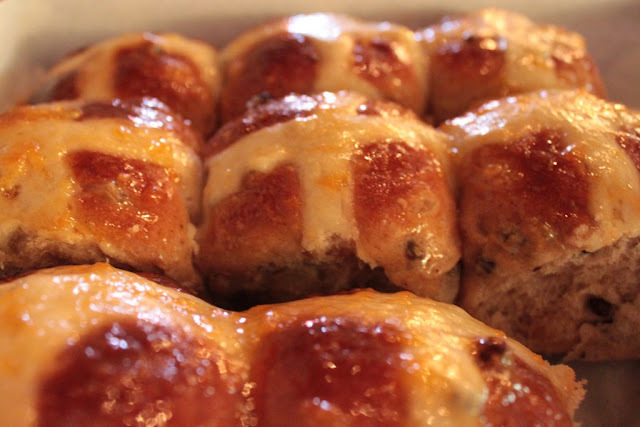 This year I decided that it would be a treat to enjoy homemade traditional hot cross buns. That would only have been possible if they were made by someone else, since I am not a keen baker. That is how this year I proposed that our friend Susan should bake them. She and her husband are lately pursuing the allure of perfecting home-baked sour dough bread. Susan accepted the challenge. I could relax in the knowledge that in true Susan style, the tradition of hot cross buns would be researched. The best recipes would be tested and the best-tasting buns would be the ones to grace the Towerwater table. When Susan revealed her homemade hot cross buns, they were true beauties. Biting into one was pure delight; a celebration of spices and fruit. 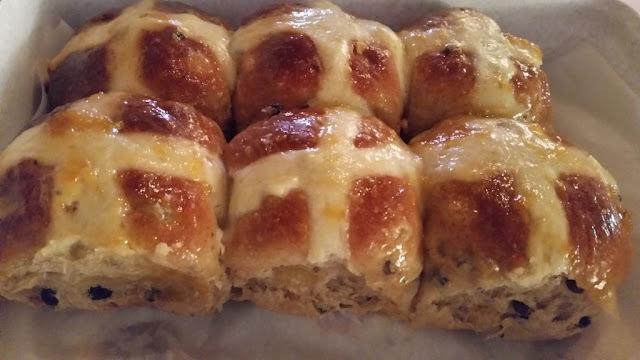 All who visited Towerwater over the Easter weekend, who were fortunate enough to taste one of the homemade hot cross buns, had to agree that that was how true hot cross buns should taste. Now I need to convince Susan to make them again next year. 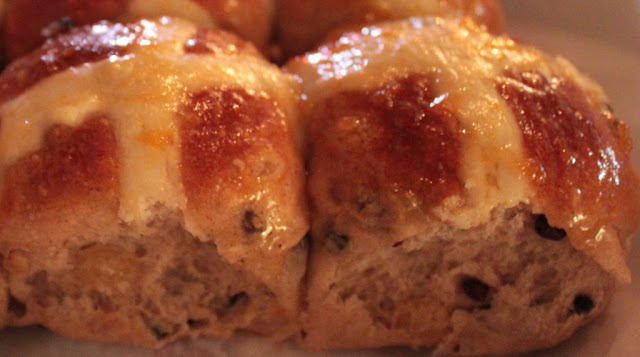 After tasting real hot cross buns, how could we ever go back to store-bought ones? Unfortunately they disappeared as fast as they arrived or else I could have hung one in the Towerwater kitchen to test the English folklore ‘that hanging a hot cross bun in the kitchen is said to protect against fires and ensure that all breads turn out perfectly’. I was glad to learn that the buns were replaced each year. The images of the hot cross buns capture the mouthwatering culinary experience that they were! 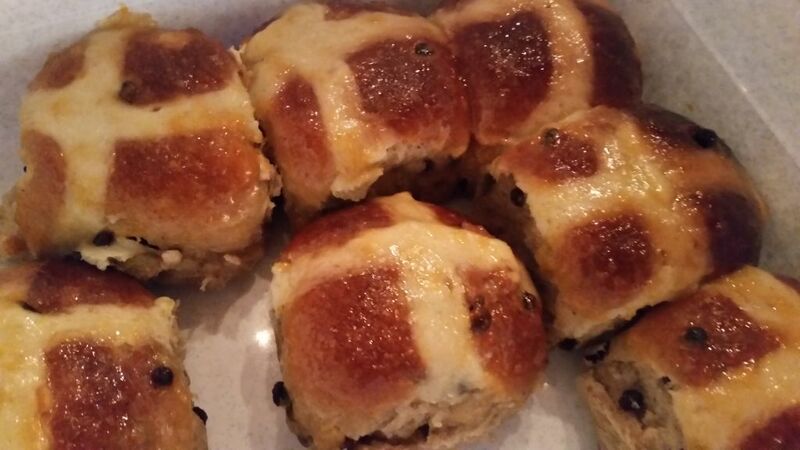 I have never known hot cross buns to disappear as fast - 'proof of the pudding' as they say.